Supernovae are among the most energetic, extreme and interesting objects in the Universe. This talk will focus on the nature of supernovae, their cause and properties, and especially on how supernovae affect our very existence. 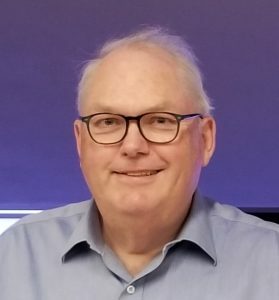 Bio: Chris Pritchet is an Emeritus Professor in the Department of Physics and Astronomy at the University of Victoria, where he has been a faculty member since 1982. He studies supernova explosions across vast reaches of the Universe, and was the Coordinator of the “Supernova Legacy Survey” – an observational quest for the nature of the mysterious “dark energy” that fills the Universe. Outside astronomy, his passions are music, canoeing, back-country skiing, and film. LIGHT POLLUTION ABATEMENT: You can help! Choose your ‘pet peeve’ (other than in ruining the night sky) about LP – e.g., its impact on ecosystems and the environment, health (all species), quality of life, biodiversity, greenhouse gases, sustainable natural resources, climate change, Indigenous Peoples, etc. (all key words in the Fed’s Development Strategy plan), go to the website, and contribute a few minutes to the planning of a sustainable future for Canada. 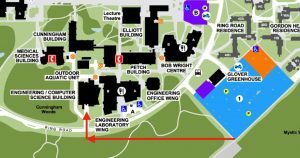 More information and an explanation of the detrimental impact of bad outdoor lighting are at http://victoria.rasc.ca/night-lighting/ and http://www.rasc.ca/outdoor-lighting. Members of the RASC Victoria Centre are selling raffle tickets. Tickets are 3 for $10 or 1 for $5. 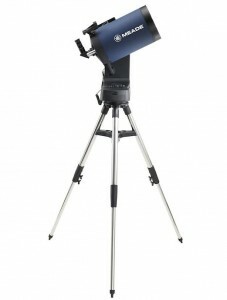 The prize is a Meade ETS-LX 8″ telescope on a LightSwitch goto mount with some accessories. The draw will be made at the June meeting. The election to Council is usually for a two year term. Elected positions are: President, 1st Vice-President, 2nd Vice President, Secretary and Treasurer. All other positions, including Members at Large are elected or appointed by Council. Some council members have agreed to let their names stand for their present positions or to run in new positions. These are outlined below and are accurate at the time of writing. We do need to fill the First vice-President, Second Vice-President and Secretary positions at the General Meeting. Nominations will be accepted from the membership for all positions. Please send in your nominations to me, Lauri Roche, at pastpres@victoria.rasc.ca by November 15th. Nominations will also be accepted on the floor of the Annual General Meeting. If an Election of Officers is necessary we will carry out a secret ballot. Please contact me if you need any further information.